Seasons Greetings, LOLOS! It’s easy to heart the holidays with all the festivities, friends and family time. But it comes with a side of seasonal stress, right? Between shopping, organizing, cleaning, cooking, traveling and other end-of-year obligations, we’re often on the verge of holiday meltdown. It can be hard to enjoy this time of year with the extra—even unnecessary—pressures. Next time you feel like you’re becoming another Christmastime casualty, take a deep breath and remember to be nice to yourself. You’ve been working hard all month (all year, in fact!) and you deserve a little Yuletide cheer. This month’s cocktail, The Place Beyond the Pines from Danico is just the holiday pick-me-up you need. Mix yourself one with the recipe below. Even better, stop into the bar. It’s decked out in twinkly tinsel and trees and the cocktails are being served in drinkware that would make Santa proud. And, just between us, the barmen here make for the best kind of Christmas eye candy! Ladies (and gents), you’re welcome. *To make vanilla syrup, mix one cup sugar with one cup water over low heat until sugar dissolves. Remove from heat, add a vanilla bean and let cool. Remove vanilla bean. Syrup can be stored for two weeks. Shake all ingredients except soda with 4 ice cubes. 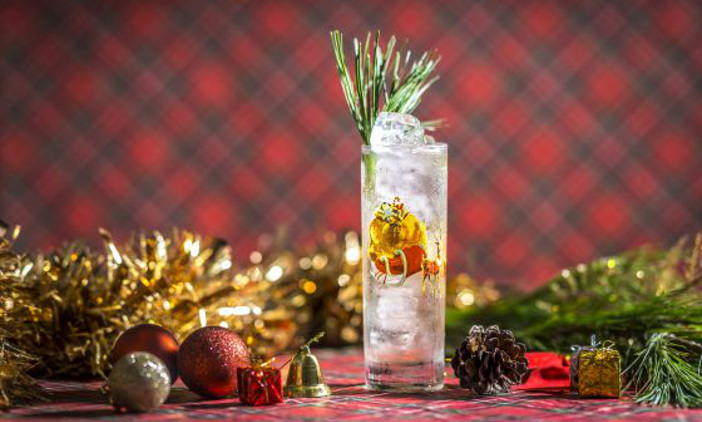 Garnish with tiny pinecones as they do at the bar, or with something equally festive. LES LOLOS Tip: Bar owner Nico de Soto has taken his Miracle on Ninth Street Popup Christmas/Hanukkah bar concept global. He’s paired up with Cocktail Kingdom to deliver decorations, festive drinkware and a special seasonal drinks menu to nice bar boys and girls all over the world. Even if you aren’t in Paris for December, you can partake in the same Danico holiday spirit at other participating bars around the world. Stop into Rob Roy in Seattle, the Trap in Athens, or Sippin’ Santa’s Surfshack in NYC (and of course, Nico’s NYC bar, Mace). Follow their Facebook page to find Miracle bars near you. What’s your favorite holiday cocktail? Tell us here or on Facebook, Instagram and Twitter. 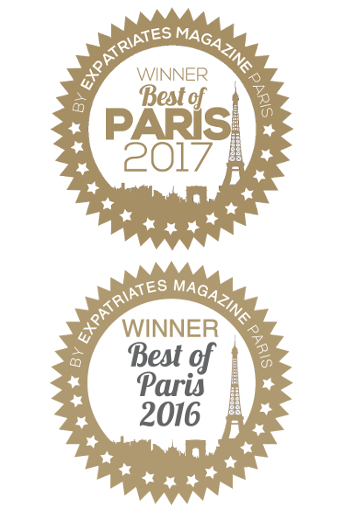 And please sign up for our newsletter if you want to be in the know about everything Paris!